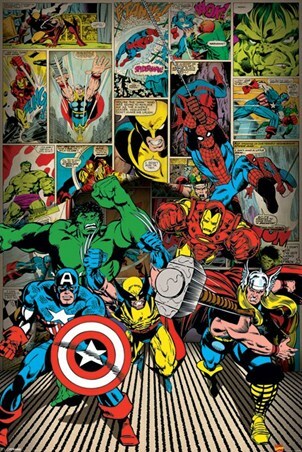 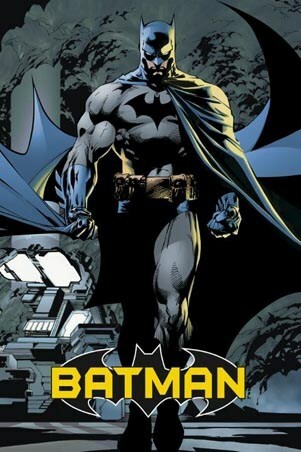 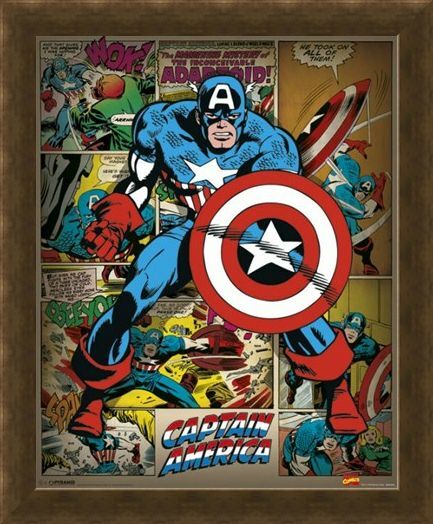 Children's Mini Poster: Take on the evil of the world with the help of this awesome Captain America mini poster which is packed with all the Marvel comic book action you could ever need. 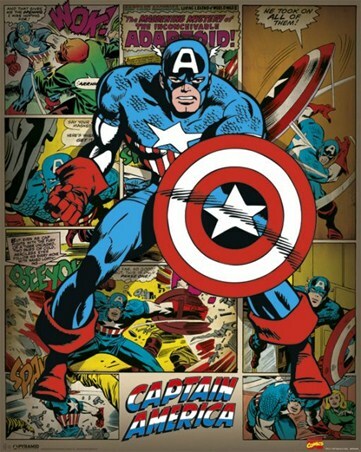 Steven Rogers' alter ego bursts through a classic comic background with his red, white and blue shield ready for action. 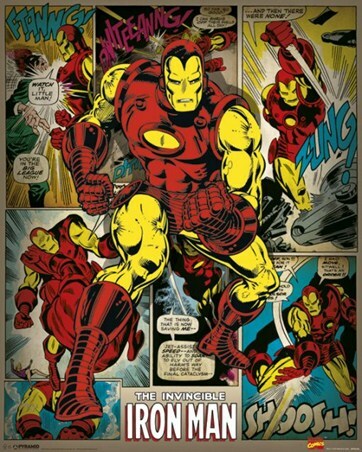 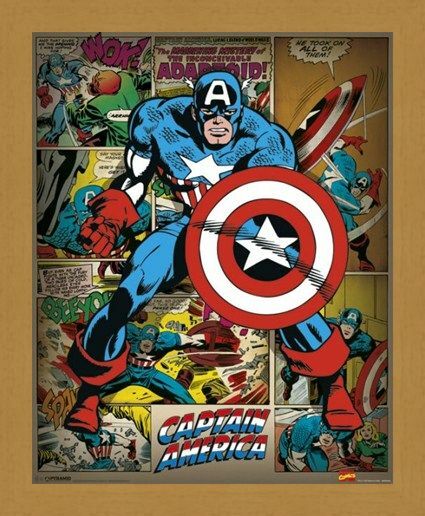 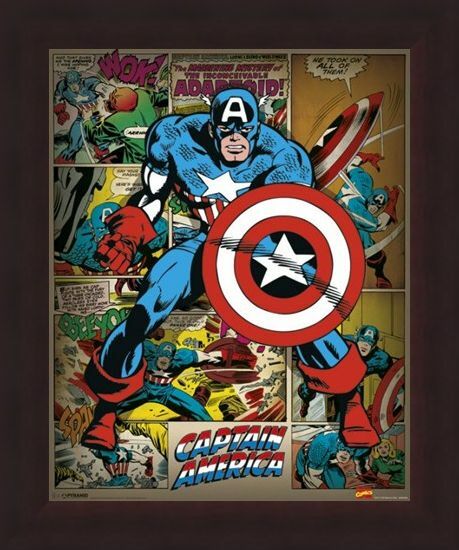 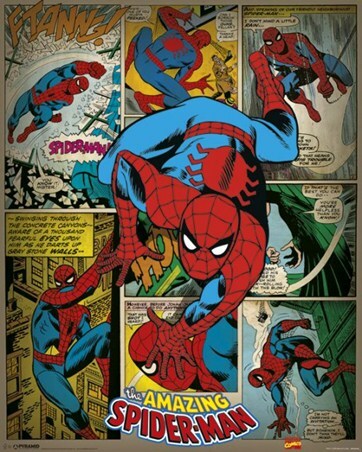 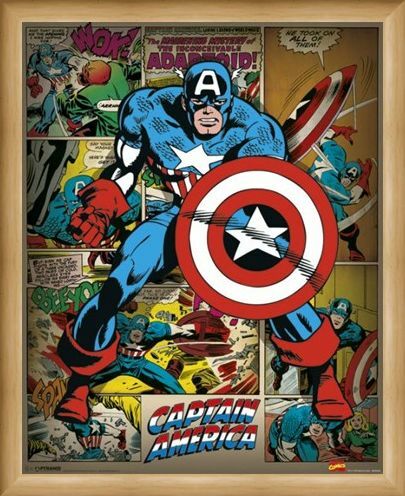 First seen in 1941, Captain America has always been one of the most iconic super heroes around and now you can discover all his secrets as you sit back and admire this action packed mini poster, perfect for fans of Marvel's main man. 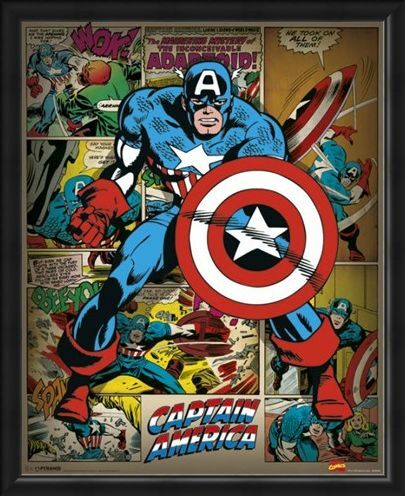 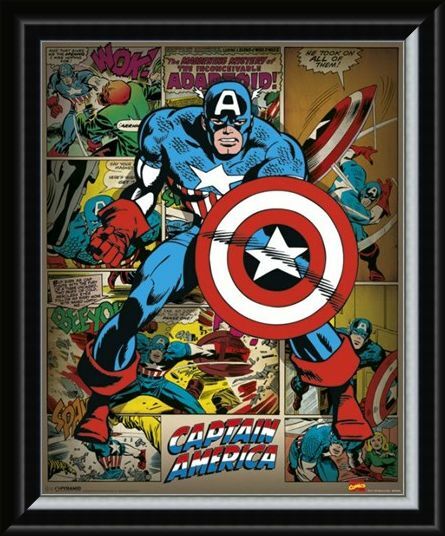 High quality, framed He Took On All Of Them!, Captain America mini poster with a bespoke frame by our custom framing service.